Jyn Erso (Felicity Jones) is a troubled, skillful, headstrong Rebel recruit who is about to experience her biggest challenge to date. 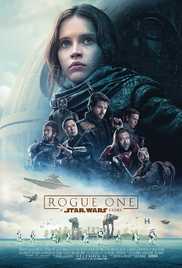 Mon Mothma (Genevieve O’Reilly), Senator and secret leader of the Rebel Alliance, has entrusted him with an important task: to steal the plans of the Death Star, Orson’s last destructive weapon of the Galactic Empire Krennic (Ben Mendelsohn) as security director. Watch more related free mp4 Sci-fi movies for mobile.